Multiplayer action games are getting to be a dime a dozen on the Switch so the struggle to stand out is very real. In the indie space visuals are a bit wide open and everyone has their own tastes so there’s no guarantee for success there. At a core level the gameplay for many of these titles also have similarities so the trick is often to find a great gimmick or two to differentiate. Falling into the competitive shooting-esque category is Guilt Battle Arena, which has two somewhat unique elements in its corner if you’re game to try it out. The first difference, and probably the one that affects gameplay the most, is the fact that each person has only one bullet. Once you shoot at someone your lone bullet will end up on the ground and in order to fire again you’ll first need to retrieve it. This immediately gives the game a somewhat more strategic feel, though it quickly devolves into people hoping to get their shot off first often. 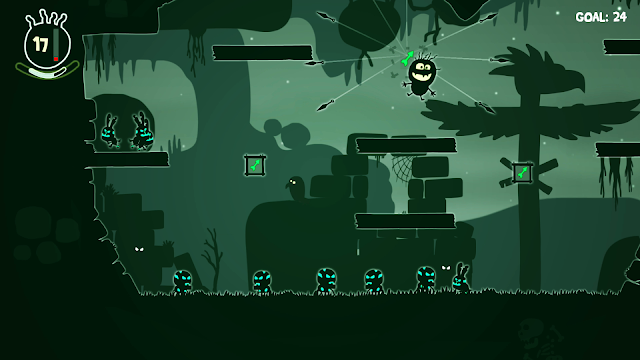 Since you’re a bit vulnerable without something to fire you’ll then have to rely on some skill in evasion, which is helped greatly by the fact that you can double jump or dive down quickly to throw off your enemies. The second difference is the variety in rules/modes you can play with, ranging from more standard fare like straight-up Last Man Standing to more creative modes that include those with explosive cats. The game doesn’t take itself seriously and it is some of these oddball ideas that do help it stand apart from its competition. While it is first and foremost designed to be played with up to 3 of your friends you are able to have a bit of fun on your own, even if it would likely wear thin after a while. With the latest patch bots are available to go into Battle Mode with, giving you practice for playing against your human opponents. Though you could play Endurance Mode with a friend you can also go it solo, simply trying to survive through as many successive waves of steadily quicker enemies. Even if this mode doesn’t have a ton of staying power at least the various maps you have to choose from keep it fresh, especially since it includes quite a few that include environmental hazards to contend with. You can also go and create Custom matches against bots or friends and this will truly let you tinker with how things play out, which is nice, and the number of character skin unlocks in the game is impressive so everyone should (eventually) be able to settle on a look they like. 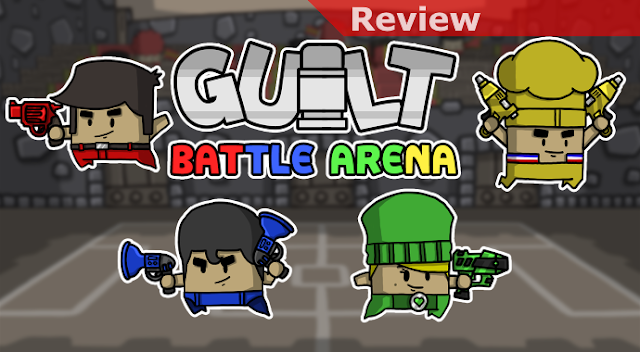 Overall, while Guilt’s appeal won’t be universal it at least makes a clear effort to quirk its way into your heart, rather than roll the dice and pray. The injection of humor and a dash of genuine creativity help it rise above some of the more average offerings out there but there’s no getting around the fact that there simply isn’t that massive an amount of content to play with in the end. While it has solo options this is another title that’s simply far better to play with some friends. Since there’s been a flood of multiplayer games on the Switch of varying type and quality to date it’s a bit tough to make an impression and set yourself apart. It seems that most titles shoot for a more kitchen sink approach, throwing together styles and enhancements to give people something more than they’ve seen before. Bouncy Bob is a title that moves in precisely the opposite direction, looking for utter simplicity layered with some nuance to instead win the day. In the game, perhaps obviously, you’ll control Bob. Control may actually be too strong a word though, because Bob is of a somewhat Weeble Wobble-eque physique. His oversized head and large body dwarf his comically-small legs and arms, making mobility an issue. Apparently all he’s good at is leaping into the air and then flapping his arms madly to making himself move a bit higher and further. The bad news for Bob is that it appears the zombies have come, and he will need to use what little skills he has to survive as long as he can. 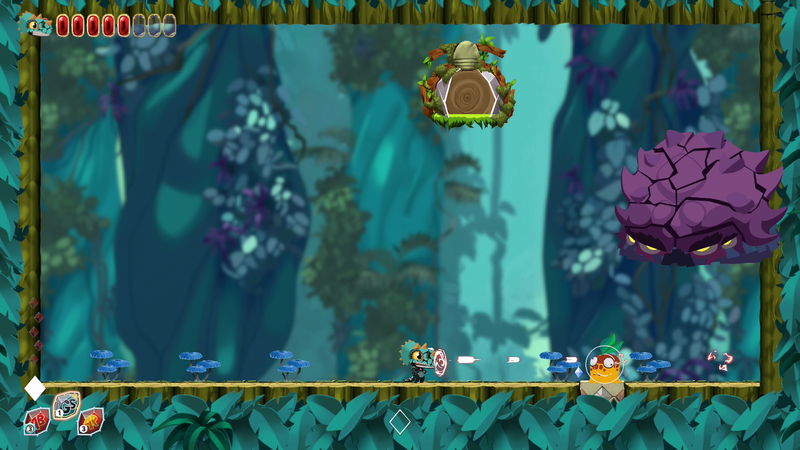 The game’s action thus revolves around aiming Bob’s jump to get up to higher ground, bouncing off of zombies’ heads, flying into power-ups that will periodically refresh, and flapping his arms wildly to exhibit what little control he can to prolong his life and the current run. 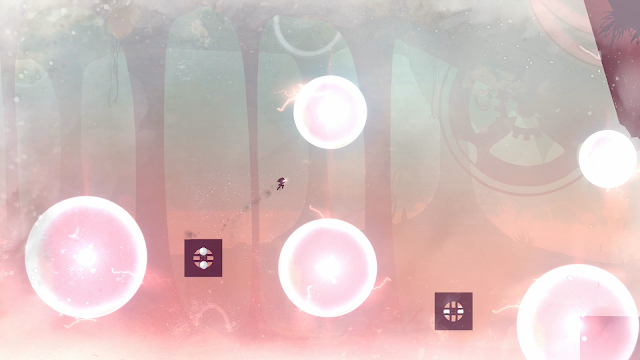 Aside from being motivated to get as high as score as you can the majority of the motivation in single-player mode is just to unlock new stages for greater challenge by topping a target score. 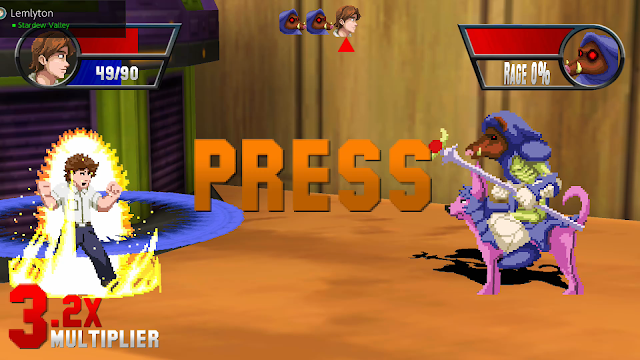 Probably a bit more engaging, and helping keep the title viable longer, is the local mutliplayer mode where you can try to outlast each other and bound around for power-ups to try to best each other. Budget titles like this are tough to score. 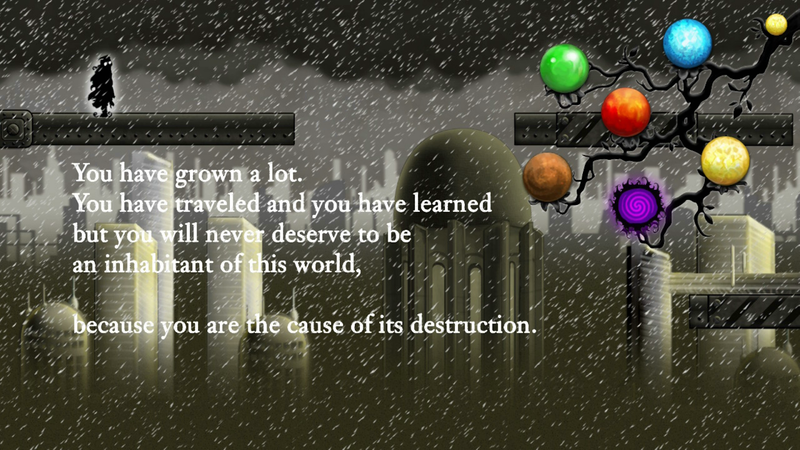 It’s not a particularly badly-made game, and its production values, while simple, are reasonable. The nature of the action is at least distinctive, but that’s as much a strength as it is a liability, since your enjoyment hinges on whether you appreciate the game’s only real mechanic, or whether you can then find a few friends who’ll enjoy it with you. 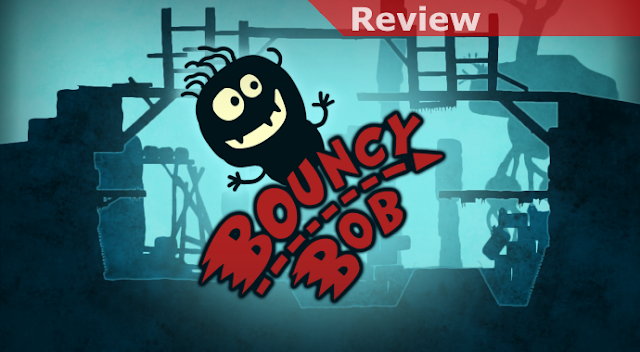 This leaves Bouncy Bob in a tough spot in a competitive space on the Switch and you should definitely review your options before making a commitment. As someone who grew up in the 80s I have a very special love for the full spectrum of pop culture weirdness that it brought to the world. Between its ridiculous fashions, synth-heavy music, too many classic movies to mention, and the love of cartoons on a Saturday morning those memories are burned into my brain. That, no doubt, makes me the target demographic for the reference-laden Saturday Morning RPG. While I have no doubt that people who are nostalgic for this era could have some great fun with the abundant references it includes, there’s some decent meat on its gaming bones as well. 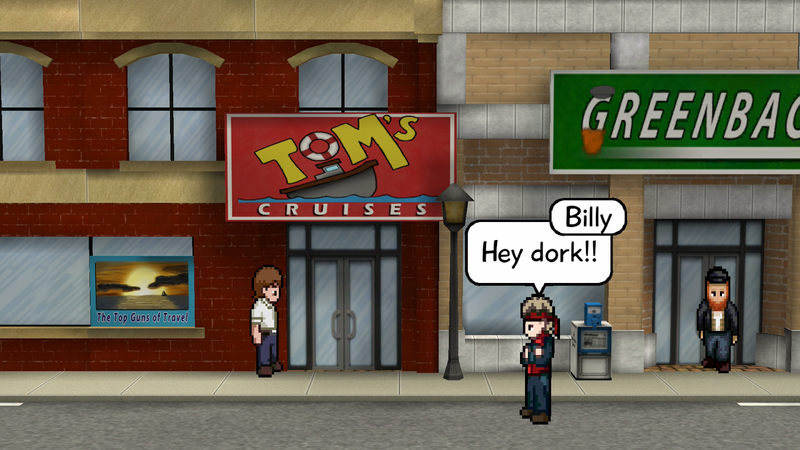 In the game you’ll play as Marty, a high schooler who is somehow imbued with the ability to assimilate a variety of enhancements and powers through a magical Trapper Keeper that’s granted to him by The Wizard. It the references in that synopsis made sense you’ll be right on track (there’s plenty more where that came from) but if not you may struggle a bit to keep up. The cover of your notebook essentially sets up your base buff by changing its graphics, the stickers (damn you for making me remember!) you put on it represent the buffs you may be able to quickly scratch at the beginning of every battle to give you an edge, and you’ll also use it to manage your various powers and quests. Your abilities, in particular, are a hodge podge of all sorts of artifacts of 80s-dom from Transformers to Simon (though named Garfunkel for the double reference) to fortified breakfast cereals. One of the things that works best in the game is the combat because of these somewhat silly elements. The game has such a wide variety of options, and each has its own action style, that you should be able to find ones that suit some of your core gaming skills. Since I am a mad button tapper the Sword of Omens-esque attack suited me fine, but if that wasn’t my speed I could try to use my baseball card’s gauge to attack as well. Throw in some buffs like the Karate Kid headband and you have a party. 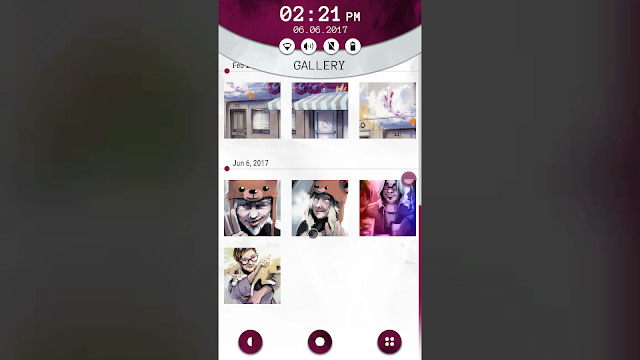 Mixing and matching your abilities, which you’ll continue to accumulate from quests and vending machines over the course of the game, is part of the fun and you’ll typically be eager to switch out something new just to see what weirdness it brings to the table since the variety in what they’ll do is pretty substantial. In terms of criticism first and foremost I’d be curious about how someone who either hates the 80s or simply doesn’t have much knowledge of them would enjoy the experience. I’d think you’d almost constantly feel like you’ve been left out of the joke. Without that veneer of nostalgia I think the somewhat thin nature of the experience would shine through a bit too much. This isn’t a particularly refined experience, the expectation very much seems to be that the onslaught of weirdness and pop culture references will drive you to continue through the game’s 5 distinct episodes just to see what comes next. 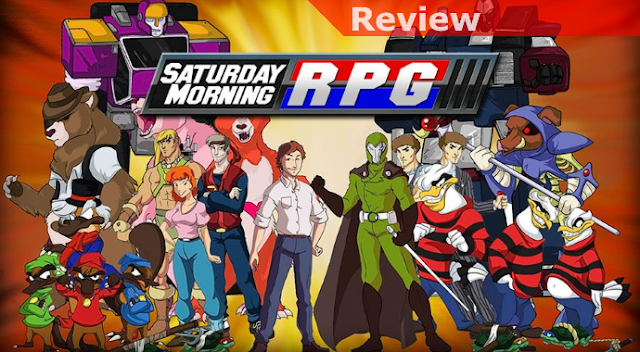 If you’d like a trip down the 80s memory lane with some decent RPG gameplay layered on top you probably will enjoy Saturday Morning RPG, warts and all. The jokes are punny, some of the renaming to protect the innocent is clever, but the experience really hinges on how you react to this. If you reject it there’s pretty well no chance it will be fun, but if you embrace it there’s just enough there to keep it consistently entertaining. This feels like an experience that hit its target objectives well, just by its nature it’s a thoroughly niche experience so enjoyment is in the eye of the beholder. Breakout, or at least a variant of it, is one of the earliest games I remember playing at home. 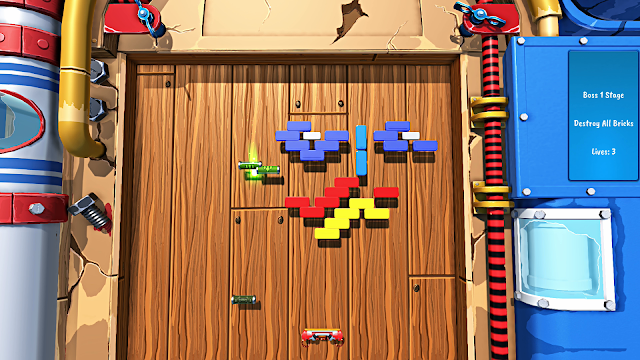 In many ways that’s not a surprise as it’s really a form of single-player Pong to some degree, just introducing a series of bricks to knock out in place of an opponent. While there have been variations on the classic over the years, to me only the arcade classic Arkanoid stands out as a title that “broke out” of just being a casual game and into something more. 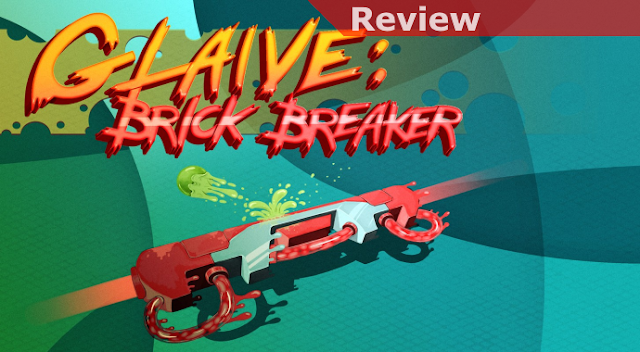 Offering a similar formula, but introducing a few twists of its own, Glaive: Brick Breaker is more challenging than you’d expect but still retains a mostly casual quality. If you somehow aren’t familiar with the idea of Breakout the basics are that you control a paddle that moves left to right at the bottom of the screen and your goal is (usually) to clear all of the blocks on the board that can be broken when hit by a ball. This ball will ricochet off of any surface that it hits at an angle and is generally observant of basic geometry and physics. When Arkanoid came along it solidified the concept of there being power-ups that would fall, a generally more dynamic playfield, and even a boss or two. Glaive has its own take on all of this, but then introduces something I haven’t seen before, which are levels where you have a paddle on both the top and the bottom, doubling the work you need to do in order to clear the board. While getting into the technicals a bit may be boring I think it’s worth noting that, for the most part, the control in Glaive actually feels mostly right. What has typically been the downfall of almost all Breakout-style games I’ve played over the years on consoles is that the control of the paddle has been all wrong. Either the rate of movement of the ball has been disproportionately too fast, the paddle movement has been somehow erratic, or the general “feel” of how the ball reacts to the paddles and other surfaces hasn’t been quite right. In Glaive it’s the nuances of the ball movement I appreciate. The way the ball’s angle will be affected more the closer it gets to the edge, that the ball movement is typically just a bit faster the more horizontal the angle gets, and that when there are even small curved edges on things that the ball hits the deflection will go a bit haywire. It’s the attention to detail that helps it feel good and I appreciate the effort. That said, not everything is quite perfect. The most aggravating issue I have is that the control is 100% digital. You can’t control your paddle with the touchscreen and your analog stick’s nuance is completely wasted. Consider that all of the best Breakout games have been played with a dial, an analog control device… the ability to move both quickly and slowly is crucial to high-level play and being limited to digital movement makes everything more stilted. Touchscreen would have been ideal but even an attempt to honor the analog stick would have been appreciated. As variants that have used digital control go Glaive feels better than most but this is still a disappointment. My only other major issue is that the hitboxes aren’t always honored very well and you can get some erratic ball behavior, with it seeming to ghost its way through your paddle at times when you’re moving and hit it just a bit late. It’s not something that happens all the time but it’s a glitchy behavior that would have been nice to not see at all. As a minor gripe the color and appearance differentiation between some of the good and bad power-ups could be a bit more clear, but after a bit do get more accustomed to telling them apart. All in all Breakout is a bit more sedate a style of game than many people these days are probably looking for but while I normally get quite irritated with its variants I’d consider this one pretty carefully crafted. While it starts out a bit easily expect to hit spikes of frustration on specific levels, the game has a tendency to throw them out in a somewhat random order, so you can expect to get stuck for a bit on a specific level only to then blow through the next 3 or 4 on the first try. It’s worth noting that there is a Versus Mode that lets you go head to head against a friend with what are ultimately variations on Pong, but while these work they’re heavily dependent on not only finding someone interested in playing with you but also who is reasonably well-matched in skill. If you’re looking for something a bit more mellow, but that offers a good challenge, Glaive is worth giving a look. When it comes to existing interesting characters and stories I’m always a bit surprised that the various gods and mythological creatures of the classical eras aren’t mined more often. While everyone may not be familiar with them their typical ties to the elements and nature, not even getting to what you would imagine would be their impressive power, gives them qualities that seem well-geared for games. Fully embracing this idea is Jotun, a title that casts you as a fallen warrior who must fight through Purgatory, and a collection of giant elementals (the Jotun), in order to reach Valhalla. Starting with the visuals the hand-drawn animation in the game is impressive at every turn and for the most part the game looks like you’re playing in a cartoon. The Jotun, in particular, are very detailed and their scale is often impressive. It’s not just that they have great attack animations, for me their various expressions over the course of battle are almost distractingly cool. To go with the elemental nature of the Jotun there’s a nice variety of environments and ecosystems as well that each have a distinct look and feel. While I normally don’t go on about the looks of games it’s hard not to be impressed by this one. 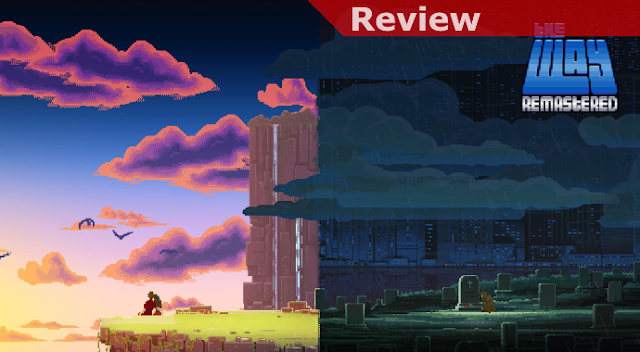 For the most part in terms of play the game breaks down into 2 major components: The times when you’re collecting runes that will help you progress and then the impressive and challenging boss fights against the Jotun themselves. Each time you set off to collect runes the nature of your journey will vary. 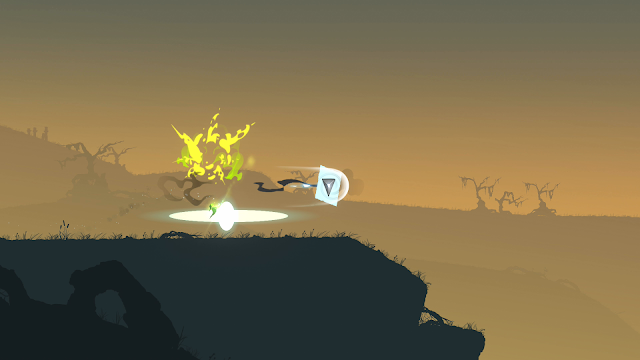 For the most part this pulls from natural elements that are tied to each of the Jotun, and each time your tasks will be different, but they’re also a mixed bag. As you accomplish these tasks you’ll also tend to be imbued with a new godly power you can wield to help you get out of tough spots. 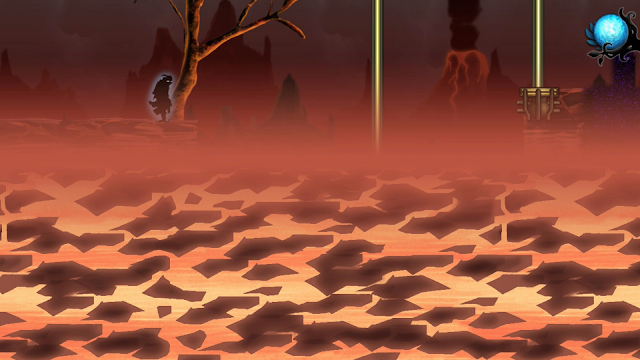 Speaking of tough spots your battles against the Jotun themselves can pose a pretty serious challenge. Just in terms of their size relative to you they can be quite intimidating and you’ll find that through their multi-phase attacks as you wear them down that you need to keep moving and alert to stay alive. These boss fights are really what helps the title step out from the competition and they are generally quite memorable. Unfortunately scaling can be one of the game’s bigger issues as well. Since the Jotun are so much bigger than you these battle require the camera to be pulled out quite a bit so you can see everything. This introduces 2 issues that vary in their severity depending on the battle. The first is that in general critical details like shadows that show where attacks are about to hit can be tough to see, leading to some frustration and visual confusion at times. This problem is then further exacerbated if you typically choose to play in handheld mode, where the scale of your character can get to be tough to deal with in places. The only additional notes I’d have are that overall your characters move and attack set are quite limited, though your heavenly powers do help, so movement and combat aren’t terribly varied, mostly boiling down to dodge roll, and attack, dodge roll, and attack or some variation on that. It requires some skill and timing but it can also get to be a bit bland. A final note is that some of the load times can feel a bit long, which is always a bit of a bummer since they remove you from the action. 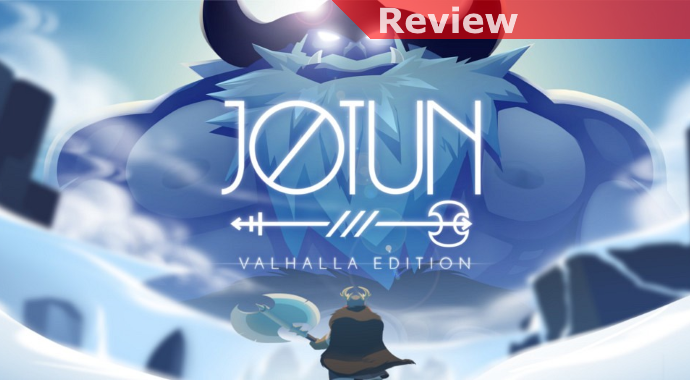 All in all Jotun is a gorgeous and well-made game that plays quite well as a boss battle challenge with decent elements in-between. The scale of those fights is absolutely memorable, and while they can be challenging I’d say that for the most part they’re also fair. If you are in the mood to take down some giant bosses it’s an enjoyable ride. 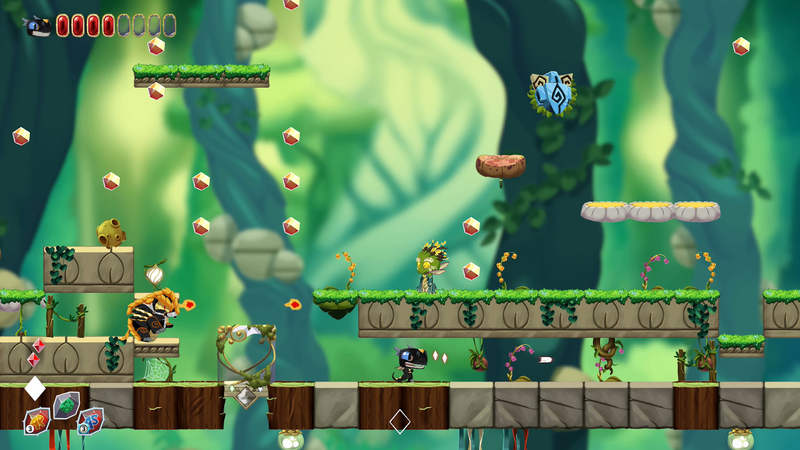 The platforming action game is about as iconic a genre as any, in particular on a Nintendo system. Throwing something new into the mix can be a risk but the reward for success can also be substantial. 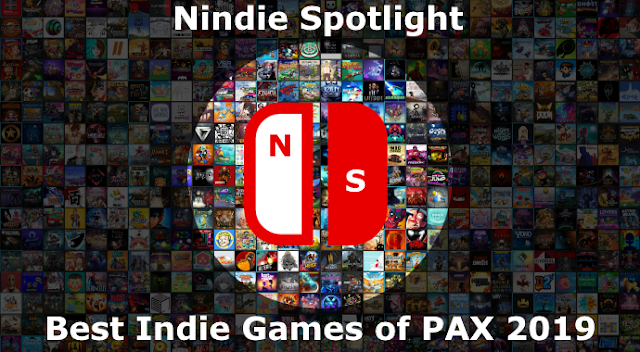 Certainly a popular way that many indies have found to shake up their respective genres is to add roguelike elements to the mix. These have yielded mixed results. 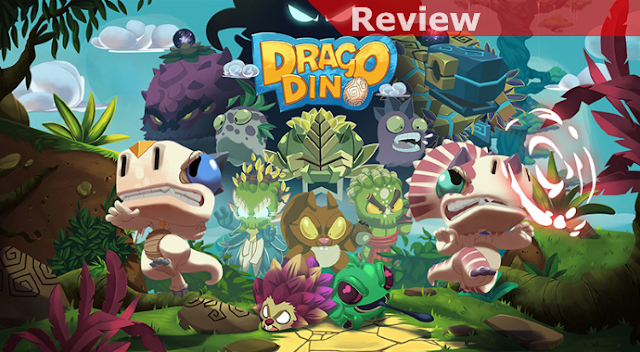 In the case of the cute and colorful DragoDino the randomized elements are a nice touch but the penalties to missteps, its slow pacing, and pretty ridiculous load times will mean reactions will vary. Starting with what works there’s no doubt an appeal to the attractive art style the game sports. Each of your 4 choices of dinos (2 male and 2 females in either white or black) has a slightly different look and attributes but for the most part they play identically so you may as well go with what you like. Each of the game’s main environments are colorful and lush and though many enemies you’ll see over the course of stages are cut from a common base cloth their looks and attacks will tend to vary nicely. As a whole this means that you’d be wise to approach each new enemy with some caution, as throughout the game their respective levels of difficulty to deal with will steadily increase and they will get more lethal to you if you’re not careful. Control and movement are at the same time interesting and a bit of an issue. On the one hand I appreciate what the controls provide for, and there are all sorts of tricks and hidden goodies to trigger if you know what to look for and what you need to do to activate them. 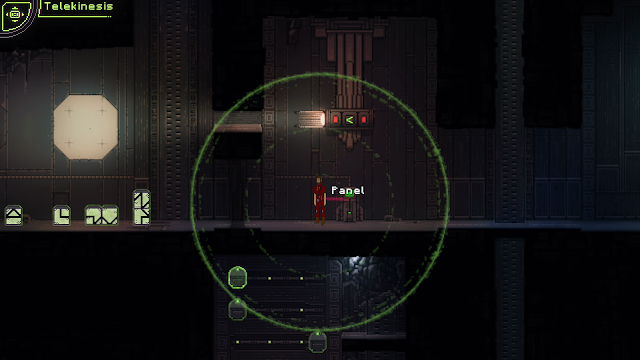 One of the issues I have is how the jump is one button but the charged jump is another. Another problem can arise with picking up and managing power-ups using a combination of the right face buttons as well as the left. It does make sense in the end but there’s no getting around how cumbersome this can be, especially if you want to pick up a one-time use item quickly to use immediately and then pick the item you’d had in place before back up before it disappears. Just as crucial as the controls can be to success they can be tricky and cumbersome depending on what you’re trying to do. 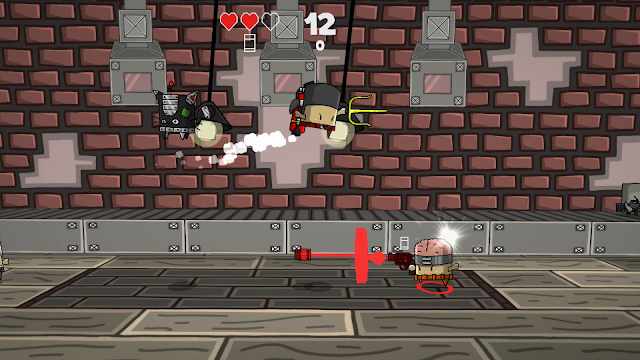 For instance, there are power-ups that allow you to drop a stun bomb of some type while gliding. In concept this is very useful but in practice there’s quite a bit of exchanging of button presses that can tie your thumbs in knots.There’s certainly worse out there but at the same time you never like feeling the controls in a game are even a small portion of what may be holding it back..
Delving into the two issues that are holding DragoDino back the most obvious one is that the game’s load times are absolutely ridiculous. Looking around this isn’t a Switch-specific issue so, based on the fact that the levels are quite large and are dynamically generated for each run, I would assume it’s related to the stages being plotted out in memory. While this is something you can get over I do think fair warnings are in order, this can get into multiple minutes and I’ve had the load animations stop before as well, making me concerned the system had crashed. Somewhat tied to the load times is the fact that even as a roguelike fan I don’t find that I agree with the way continues are handled. In particular, if you manage to get to one of the game’s bosses, dying and being sent back to the beginning of a multi-stage grind to get back to the same boss it is annoying. While I understand this is the nature of games in the genre when you look at the sheer volume of time being spent to simply grind back to the same point feels disproportionate. One oddity to note is also that whenever you reach a new sub-stage your power for jumps starts over again. While I understand this from the standpoint of trying to keep you from speedrunning through everything in an incredible hurry it can also make the early portion of each level tedious depending on the randomized seed as you need to figure out how to get somewhere until you get a crystal or two. Again, not crippling, but it can be irritating given the game slow and steady pace. Overall, DragoDino is hardly a bad game but I’d say people need to be careful in their decision to get it, making sure it’s for them. In many ways its bright and colorful animated looks don’t naturally pair with its level of difficulty, meaning more casual players who could like the style could find it too punishing and people who love a meaty challenge may overlook it because it “looks” like it would be simpler. This, paired with the load times and tough continue system, make it more of an acquired taste even though it has its merits in terms of gameplay. When trying to craft a masterful platforming experience probably the most crucial element is the flow of things. While the game can certainly be challenging it is essential that the movement is nailed, making covering ground and making crazy things happen all at once feel “right”. 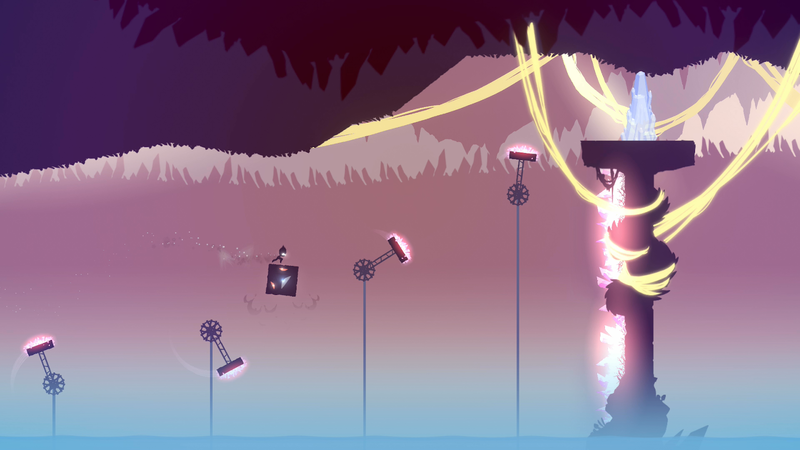 One of the most impressive-looking games shown in the last Nindie Showcase Direct was the gorgeous Light Fall, with platforming that looked incredibly tough but seemed to have a fluidity of movement. Having played through the final game the great news is that when you’re in your groove and moving it absolutely feels great, if anything it’s near the end where the game takes a bit of a turn and loses some ground. First and foremost Light Fall’s greatest strength is its flow of movement. 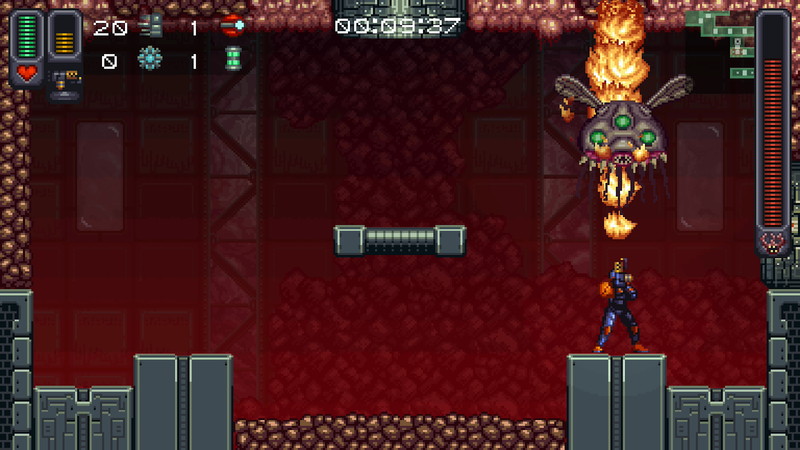 Once you get into a run your jumps have a great feel, as does you ability to climb walls. What sets the game apart, though, is introduced early and that’s your ability to make use of what are called Shadow Cores. You’re able to summon them with ease, but you do have limits. Once you have used 4 of them you won’t be able to create any more until you touch the ground. This limitation is put to clever use early on and will force you to be smart and sometimes a bit inventive to get yourself into difficulty spots. 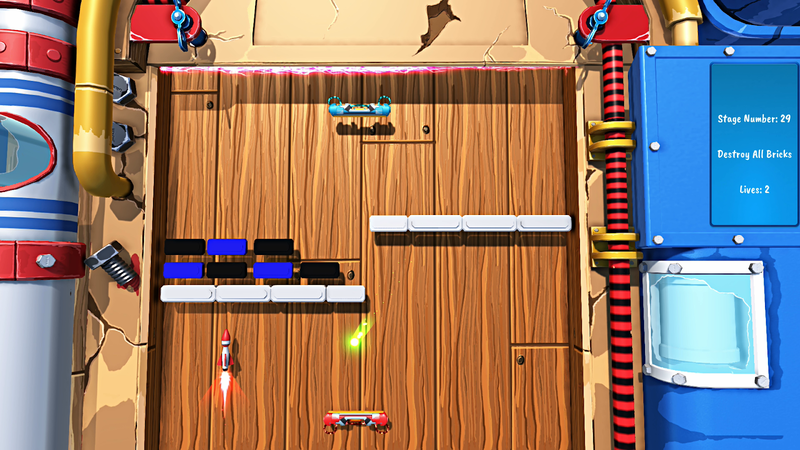 Over the course of the game you’ll need to learn new tricks and techniques with them, first using them as a tool to turn switches and then later as a moving shield to protect you from lasers. The structure of the main game is a bit interesting as you can simply move along the main path or you can let yourself get diverted onto challenges that sit at your periphery. In general whenever you see a spot where your gamer sense starts to tingle you can count on there being a hidden area. The challenge of most of these spaces is they they’ll give you a crystal that you can use to unlock more of the game’s lore, but in order to claim them you won’t just need to get to them, you’ll need to be able to get them back to the nearest checkpoint. This is the first way the game challenges you to work a little harder but I’d say even early on some of the challenges are so much more advanced than where your skills would typically be at that point that it seems to be assumed you’ll return for them rather than getting them the first time through. That leads into what I’d say is my main criticism of the game, that it makes some peculiar difficulty choices at the wrong times and that may make people appreciate the game less than they could. In particular the last Act of the game feels like it strays a bit too far from the very formula that, to that point, generally felt great. The key changes are the introduction of spaces that remove your powers, those same things you’d essentially come to rely on to that point in the game, and the almost cruel spacing of checkpoints. In particular there’s one late section where, to that point, there easily would have been 2 checkpoints after you’ve gotten through a particularly demanding area. The only effect this has is to prolong the game experience for the wrong reason, forcing you to repeatedly conquer a challenge you’ve figured out, chewing up minutes or possibly hours on doing the same things over and over again. 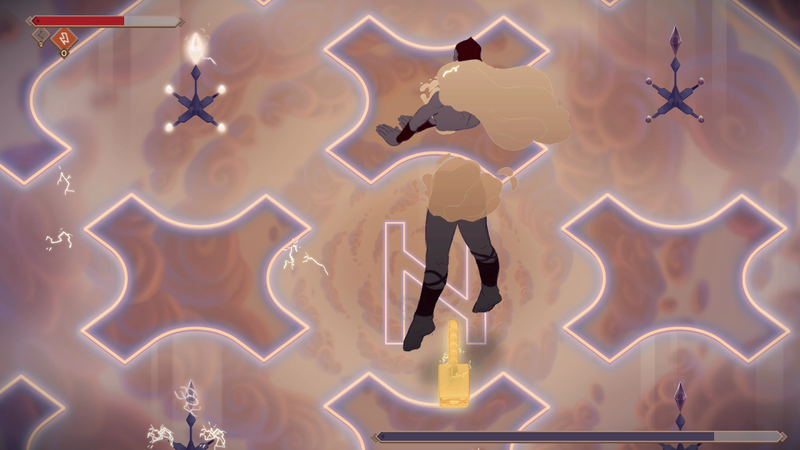 The more challenging offshoots for lore somewhat share this problem with the fact that getting to them can be hard enough but then you need to complete the normal challenge as well without dying to not lose the crystal. The effect of this strategy is that I anticipate many people will simply learn to skip those segments, complete the game, and then possibly not decide to return, missing out on some clever sequences and level designs simply because of the way the game is structured. 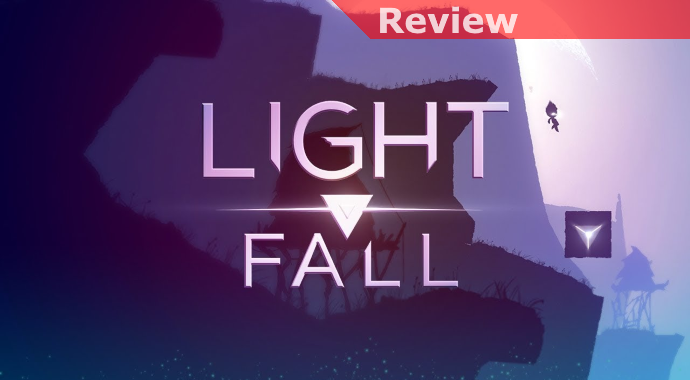 When Light Fall is firing on all cylinders it feels absolutely incredible, and it’s easy to see where it will be terrific for people looking to get their speedrunning put to the test. The ramping up of challenge from stage to stage feels just about right and the boss battles force you to put all you’ve learned to good use. I think it’s Act 4 and the pretty abrupt change in style that will divide people, with some people undoubtedly liking the sudden stepping up of challenge and others throwing up their hands at the rug being pulled out from under them. The shame is there are some great challenges to be had off the beaten path but the game seems intent on punishing you for checking them out without offering a sufficient reward in return. Light Fall has quite a lot working for it, it just feels like it gets in the way of its own success before the story is completed. I’m always intrigued to try out games that do things in a different way, particularly in the area of control. Perhaps predictably, much like the original Lost Phone this new journey (aside from sharing concepts it has no connection to the original) puts you in the shoes of someone who is trying to uncover the story of someone’s life only through the information in their phone. It’s a clever dynamic and also serves as a somewhat frightening commentary on why you really need to secure your devices and be smart about passwords, though comparatively I think it lacks the punch of the original. Reviewing games where the story, and the discovery of details about the people involved, is so important is tricky because you want to provide a taste without ruining anything. In the case of Another Lost Phone I’d say that the players and subject matter are far less controversial than the original. Rather than deal in concepts of sexuality and personal identity, the sequel treads a more traditional path concerning the perils of relationships, trying to figure out who your friends are, and the perils of certain shared materials getting past their intended audience. The result is a mystery that requires backtracking through interactions and patching together an understanding of the people involved only through their electronic communications. Mechanically to do all of this you’ll need to be both a catalogue of information that you’ve run across, if not remembering every detail as you go at least keeping track of people who were talked to and rough details you may have seen. Pictures, names, dates, relationships, and probably anything you see that is numeric in some way are worth keeping track of as you go as in order to dig through the layers of password-protected apps on the phone you’ll need to recollect and combine pieces of information in a variety of ways. Doing this can be tricky as you’ll need to go through pretty well every text, email, and app you have available to you to piece together the information you’ll need. Beware that this can be aggravating or tedious, depending on your tastes and the experience you’re hoping for, but it’s also a bit interesting because it’s just a very different way to play a game. In terms of criticisms I’d say the biggest obstacle is likely the style of gameplay, which for some people may not necessarily feel like “play”. You need to have some degree of snoop or sleuth in you to enjoy poring through someone’s communications, especially keeping in mind that much of what is there is simply everyday talk and not information you can necessarily use. Granted, all of this helps to flesh out all of the people involved and they often feel like very real conversations, but this element is a bit more like a story or sorts than a “game”. 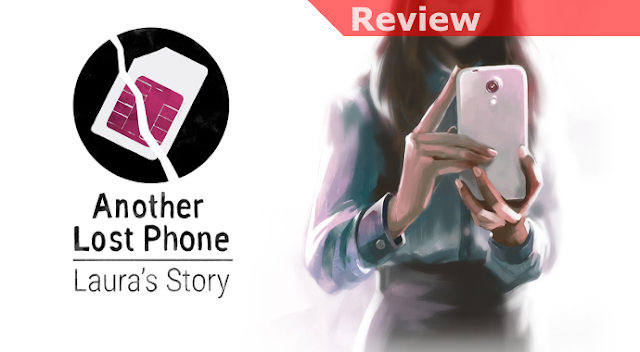 In terms of comparing it to the original Lost Phone game I’d say, as a whole, that this is a less compelling and significant story, it was the more controversial elements of the original that also made it more interesting. This story is still relevant, and more likely to be relatable to people’s own experiences, it just doesn’t have as much significant to say. Another Lost Phone continues on the path that the original set, but it doesn’t really break any new ground aside from telling a different person’s story. If you enjoyed the original’s mechanics and would like to explore someone in a very different set of circumstances it’s easy to recommend. If you’re unfamiliar with the original and this sounds interesting I’d say the original, with a story tying to someone in an alternative lifestyle, is probably more compelling but it also more likely to make people feel uncomfortable comparably. 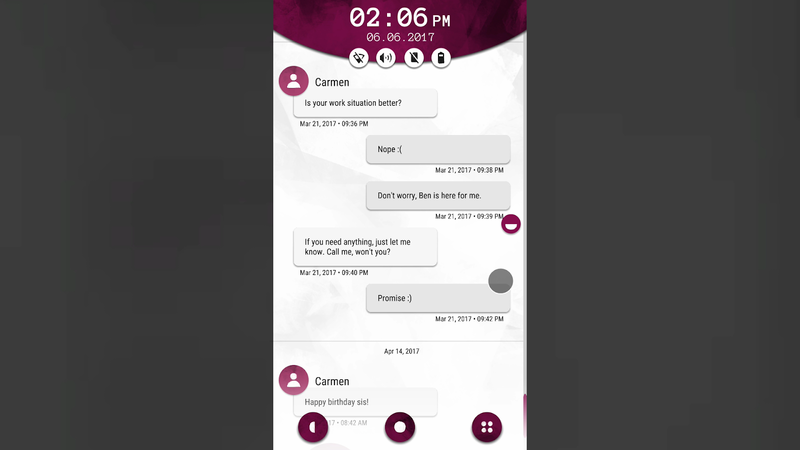 Above all, as a commentary about what people can learn about others through only their phone, this series continues to be interesting and scary. How much “fun” you can have with them is likely a matter of wildly different opinions though. You wouldn’t necessarily know it now but there was a time when full-motion video (FMV) games were all the rage. With the capacity of CD-ROMs and the availability of computers and consoles powerful enough to load and run the movie files with reasonable speed the stage was set. Throw in the fact that the games weren’t typically very demanding and another driver for their appeal was the fact that more casual players could enjoy them. Of course the genre finally collapsed, probably because casual players moved on to other things and generally the games were just middling in quality. 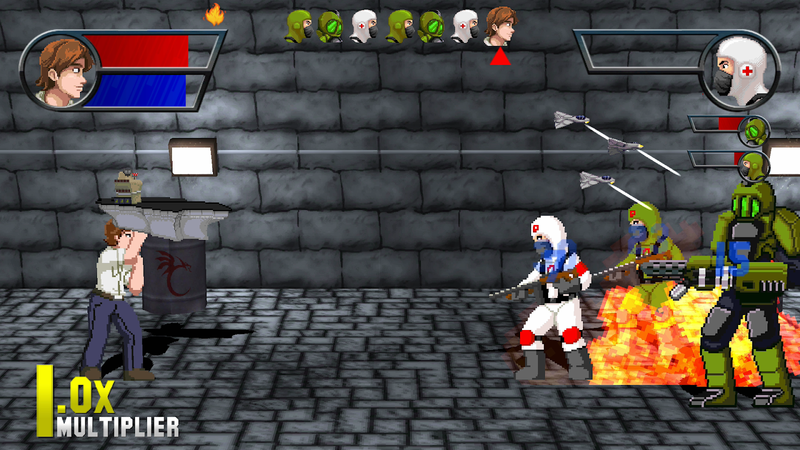 Now, with the indie gaming scene bustling FMV is set for a comeback. Though your degree of control in Late Shift, the second title in the genre to hit the Switch, is a bit limited it is the production quality and the seamless experience that really make it quite impressive. Without getting too far into the details of the story you’ll play the part of Matt, a student who is moonlighting as a parking garage attendant at night. Ready to simply show up for an easy night of catching up on his studies it doesn’t take long before things begin to happen that will immediately set a foundation for what happens for the rest of a game. A suspicious man is in the garage and appears to have his sights set on stealing an expensive car. Will you confront him? How will you approach it? While there are some elements of the story that appear to be a bit unavoidable, throughout the few hours you may experience the game even small decisions can have later consequences, the question is how much of one. This is especially true since once you’ve come to one of the game’s 7 conclusions (guess how many of them are less than desirable) you’ll immediately begin questioning every choice you’d made before. From a technical standpoint the easiest way to point out how well Late Shift does is to contrast it with The Bunker, the other FMV game available on the Switch. Make no mistake, the stories and what makes both games compelling in their own right is different, just Late Shift feels like a more evolved and possibly better-planned affair overall. The main, and most impressive, quality the story has is its seamlessness. Between the processing power of modern systems and the fact that the video isn’t being loaded off of a slow disk there’s no delay in seeing what happens when you make a decision in the game, and in fact a big part of your challenge is that the game won’t wait for you… once you see your options before you there are only a few seconds to make a choice or the game will essentially make one for you and keep moving. 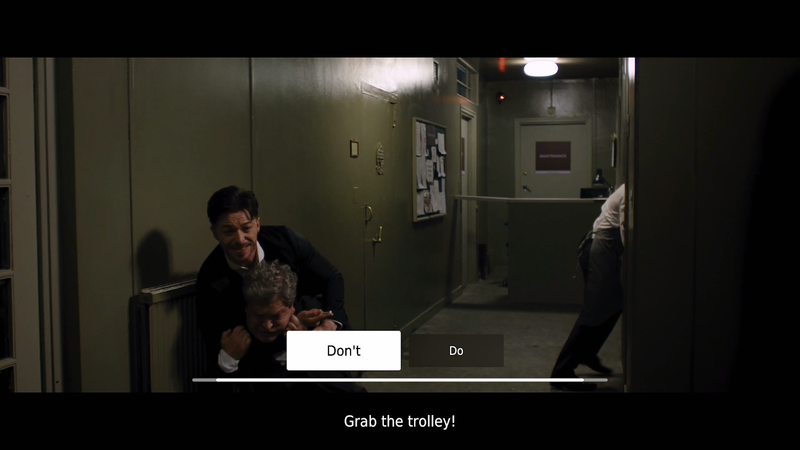 Add in the removal of the admittedly awkward low-quality action-esque sequences from the mix as seen in The Bunker and the result is what pretty well feels like an interactive movie. In the press materials the claim is made that the game has a total (bearing in mind that a given run will only hit some portion of them) of over 180 decision points and I’d believe it. The question is which ones carry greater consequences outright and which ones just may tip the balance little by little? It is that question that cleverly drives the replayability of the title, and it is a pretty brilliant move. 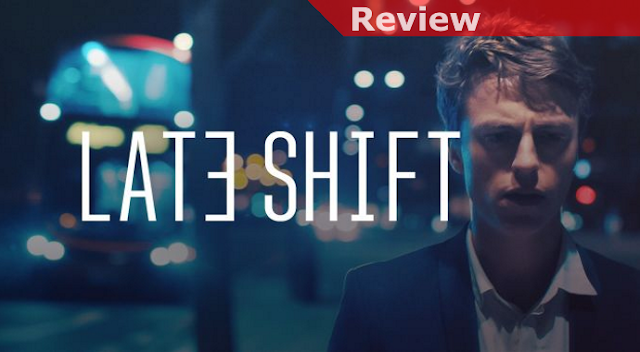 I must say that on pretty well all levels Late Shift is an amazing exercise in interactive storytelling. 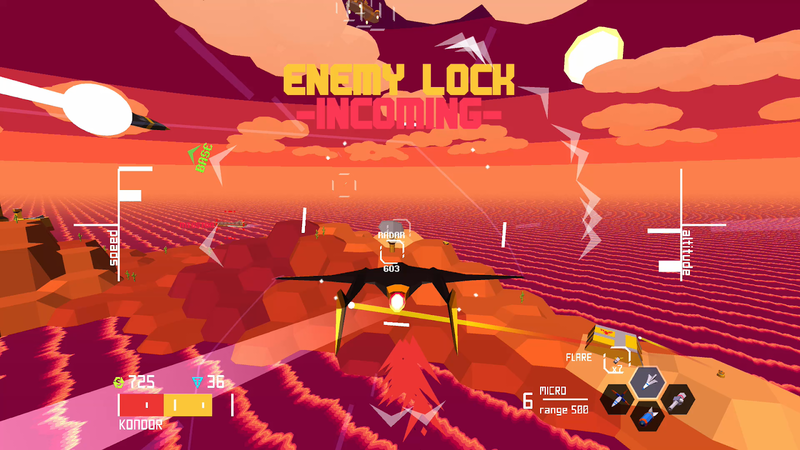 While I’d imagined it would be a lot like The Bunker, sharing quite a bit in common with the likes of laser disc games ala Dragon’s Lair and its ilk, it instead has made an appropriate generational leap ahead. Nothing will change the fact that your ability to interact with and control the events taking place in the game is limited, but it is all handled so deftly, and without hesitation, that you get much more immersed in the story. The fact that the production values and acting are easily on par with even middle of the road TV and movies then pulls you in even further. I think that Late Shift really represents the future vision people dreamed about when they were making those original FMV games, and that if more titles at this level of quality continue to be made it is a genre set for a comeback. Metroid is undoubtedly one of the classic games I remember best from the NES era. I will never forget my sense of wonder at its exploration, challenging boss fights, and a belief that I needed to scour every level to find hidden energy tanks and more. I’m obviously not the only one with those fond memories, as the hybrid Metroidvania monicker gets thrown around with great regularity these days. What I hadn’t seen yet, to date, was an attempt to apply one of my favorite catalysts for refreshing classic play, the roguelike, to this classic formula. 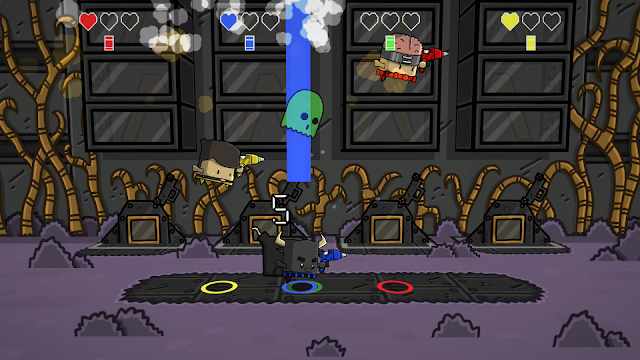 After spending a number of hours trying and dying in A Robot Named Fight I’m here to tell you that this mashup is well worth exploring further. Starting with the Metroid-ness of it all the influences are pretty well everywhere, though they are thankfully not copied outright for the most part. Weapons and suit upgrades are somewhat familiar but also unique to the game, and once you throw in some of the wild enhancements you can receive from the random vendors of sorts you can become pretty formidable. 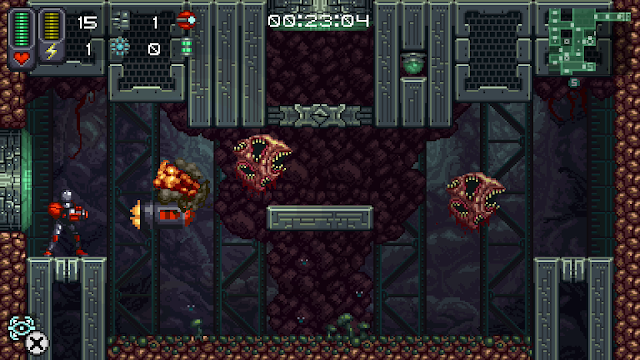 A charged shot, missile launcher, scatter shot, and flame thrower are among the various weapons you may get in any given run, and especially early on the more you play and the further you get the more you’ll slowly but surely unlock to potentially show up in your future runs. 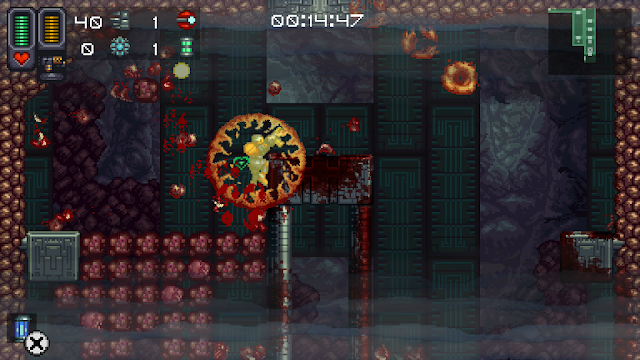 Much like in Metroid there are also hidden power-ups all over the place, the advantage being that the area they’re in is displayed clearly on your mini-map so you won’t need to constantly shoot everywhere in the hopes of stumbling onto something, the game gives you a bit of a nudge and it’s appreciated. Part of the reason all of the help you can get is appreciated is that, this being a roguelike, challenges and potential death are pretty well everywhere. There are runs where you’ll feel like you have a rain cloud above you from the start and then there are those where everything is falling into place until it usually falls apart. Unlike the traditional games where you have a pretty static progression, collecting different suits and enhancements as you go in a set order there really aren’t many rules governing what you’ll run into here. One run you could get a rocket launcher and the dash ability, the next it could be the a flamethrower and slide, what’s typically impressive is that the map is carefully plotted out to generally be sure that you’ll have the tools you need to get through doors or into new areas once you’ve explored a bit. Sometimes you’ll hit things like bosses without much more than you started with, other times you’ll feel almost over-equipped and will wipe the floor with them, the unpredictability is part of the challenge and fun. While the dynamic map generally works very well there are some problems you can run into. One definite rule worth noting is that you should probably always be sure to go up or sideways, and exhaust your options to do so, before going through any doorways that go down. Until you go through them you won’t be able to predict it but sometimes those doors will take you to a new zone and the fall will be a bit more significant than normal. Since you don’t naturally have a double jump or a wall jump this means you’ll only be able to move forward, potentially having lost a chance to get something helpful if you were careful to explore before going through. Whether this was the cause of running into a dead end of sorts or I just had bad luck as a whole, on a small number of runs I seemed to exhaust all options for progress and get stuck, which was a bummer. Even when it didn’t seem to affect my progress this fall into a new zone relatively without warning before I was ready was one of my bigger irritations, it felt like a sort of cheap trap, especially given the fact that the map can be so maze-like at times and moving down can easily be necessary at times just to navigate through. Regardless of some quirks and small issues A Robot Named Fight is plain brilliant and consistently pulls me into a “just one more run” mentality with ease. To a degree feeling like a new Metroid-ish chapter full of exploration and surprises every time you play makes it pretty unique and consistently challenging. Of course people who are less accustomed to the way roguelikes switch things up every time may struggle with this, though since the seed is shown for every run you do you could opt to keep entering it so you could play the same instance repeatedly. 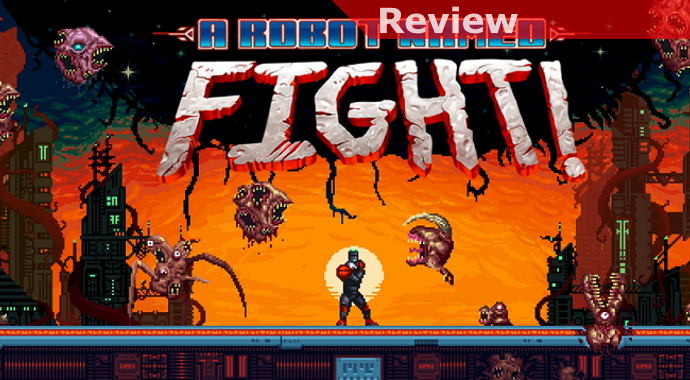 Truly taking the Metroid experience to the next level, A Robot Named Fight is easy to recommend to anyone who was ever a fan of the original series. It seems that after not really having any aerial combat games on the Switch to speak of we’ve suddenly hit a rash of them. Between the WWI dogfighting of Skies of Fury DX and the space exploration and combat in Manticore: Galaxy on Fire we got off to a strong start. 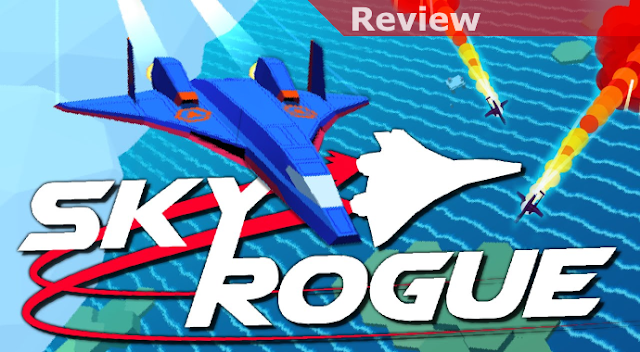 Fortunately, we now have something a bit different coming to the system in the form of Sky Rogue, with its mission-based nature, roguelike bits of unpredictability, and a terrific colorful-but-low-poly look. As is the case with almost all roguelikes there’s really no story to speak of, you’ll simply be given a mission, fly out from your helicarrier-esque base, and try not to get blown up while executing that said mission. Your specific objectives will vary but on a general level you’ll either be engaged in missions requiring you to destroy a base or facility on the ground, a ship in the sea, or something else in the air. 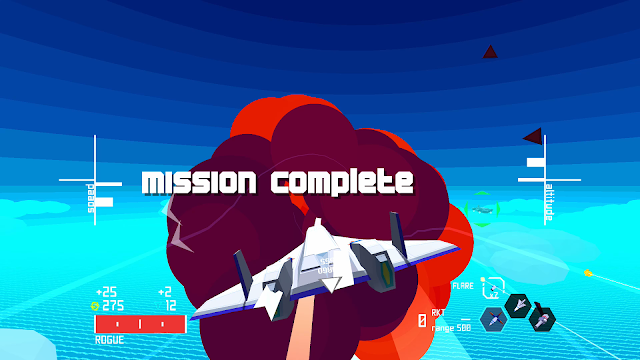 In the early missions you can pretty well ignore anything that isn’t your target, simply storming in, blowing it up, and hightailing it back to the base for your reward. Within a few missions, though, anything that’s ground-based will require that you make more of a commitment and wear down the enemy ground defenses at a minimum. You can probably still deliver your payload and destroy your target, buy by the fourth or fifth mission trying to get back home after you’ve done that without first weakening defenses will generally result in your being a smoking crater in the ground. Since failures are an inevitability, especially in a roguelike, a great feature is that you’ll accumulate experience points with every mission you complete and when you die you then have a chance to level up. When you do you’ll then be presented with a number of weapons and even new aircraft options that you’ll need to carefully consider. While it can be tough to know what weapons or craft may suit you in general newer aircraft tend to have benefits like more capacity or speed, and given the ground-based missions can be so consistently challenging and target-laden you’ll probably want to invest a bit in equipment for bombing runs. You’ll be able to manage your loadouts before every mission, choosing your craft, filling up your available slots with weapons (taking into consideration their relative costs in payload and avionics), and can even reskin you craft (there are some cool nods, including a very nice Nintendo one, here). You accumulate points you spend between missions as well for temporary upgrades that will serve to supplement as well as an added touch. While there are a lot of things that make the game both beautiful and fun repetition does set in pretty quickly. Granted, this is generally true of all roguelikes, but while your specific targets may vary, and a few are pretty notably challenging (like the substantial and well-defended Dreadnaught) you’ll really need to be invested in what you’re doing to keep it interesting. New craft do help for a while, as becoming accustomed to their added capabilities can be fun, but ultimately how much you enjoy the game will be about being committed to the general mission structure and what it represents. Unlike the other games I’d mentioned in the opening while there is an element of dogfighting in the game that’s usually not much of a focus. More often you’re trying to focus on single larger targets, and some of them can be a challenge to destroy, but the pacing of the action is very different with you typically lining up an approach from a distance and then trying to swoop over and unleash as much damage as you can rather than stay locked in twists and turns while trying to outmaneuver each other. In terms of variety it is welcome but I think it’s worth noting so you make sure your expectations are properly set. 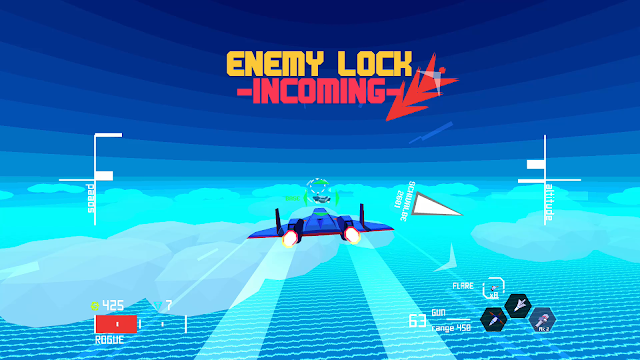 As a whole package Sky Rogue is very attractive in a very retro-esque kind of way and manages to set itself apart from the other aerial combat titles already on the system. With its focus generally concerning larger and tougher targets, rather than skirmishes with other smaller and quicker aircraft, it’s more of a planning and execution title than a “seat of your pants” one. You can certainly be reckless and try to make an aggressive run while ignoring everything but your target but that strategy only works for so long before you’ll get lit up badly. If you’re looking for a wide variety of aerial combat that’s a little lower on thrills per minute but can be satisfying in its more methodical nature Sky Rogue is a solid option. As a warning, though I personally didn't have issues with the game crashing some of my fellow reviewers did. There is apparently a patch going through the process at Nintendo to help address this, but it is possible until that gets in place there could be instability issues. Though, again, I didn't really have any consistent issues. Even for Nintendo fans I don’t think it is much of a secret that the WiiU was a troubled system with some aggravating limitations. For whatever failings it may have had though, it did act as a sort of prototype and precursor to the Switch and one of the most key features it had that has carried over is the touchscreen. While there are obvious abundant numbers of tablets out in the world, some obviously as powerful as the Switch (if not more), the big different is that Nintendo’s console features both the touchscreen and dedicated physical controls. Putting the two together, as demonstrated thoroughly by the WiiU port of Nihilumbra, creates a platform for games to do things in new and interesting ways. 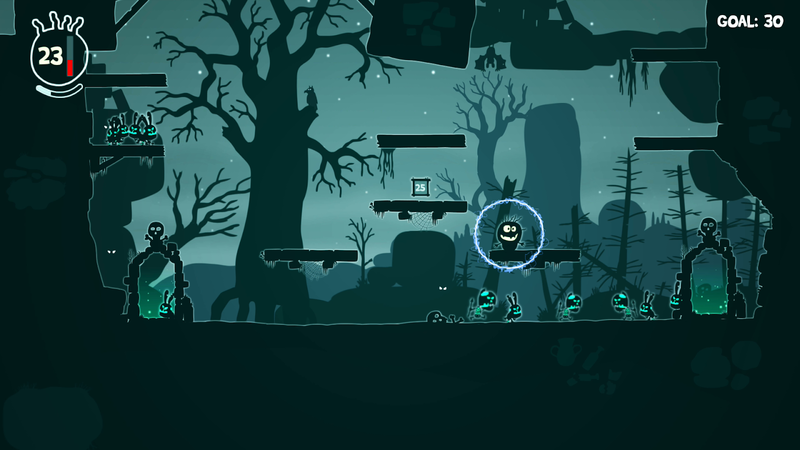 Playing out as puzzle platformer, Nihilumbra is all about making use of a variety of abilities you’ll acquire as you move through each world to survive a variety of scenarios and try to escape the ominous Void. While when you only have a limited number of abilities this plays out pretty simply, as you accumulate more of them the collective mechanics and lessons you’ve learned in using each of them will continue to be leveraged in new ways. The result is an often-clever series of challenges that will challenge both your brains and your dexterity on through the end. Layered on top of the action and puzzles what’s also notable is the style of the presentation. 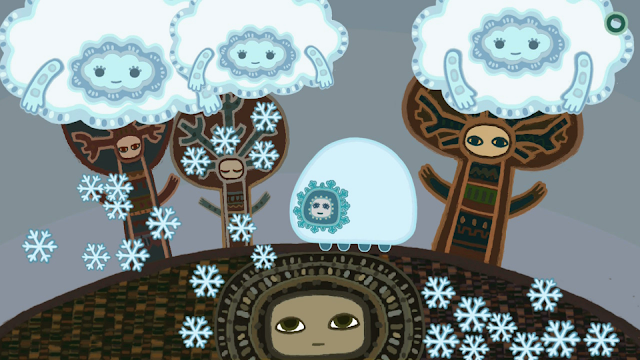 There’s a great amount of polish here from the hard-drawn and quirky art to the narrator who waxes philosophical as you make your way through the world. While I was a bit surprised that there wasn’t more specificity to the nature of your character’s story, and the things you’ve been trying to run away from, it’s still a nice layer of effort that helps everything seem to have purpose. If you would think that getting to the end may be too easy what really gets crazy is the Void mode you’ll then unlock, which will remove any doubts on whether or not these ideas can be combined to make something difficult. It goes from moderate challenge to extreme aggravation right from the beginning. The removal of friendly checkpoints and upping the ante on the demands for being precise in your movements really serve to point out that the main game was being somewhat nice, and if you want to test yourself this is going to be where you meet your match. 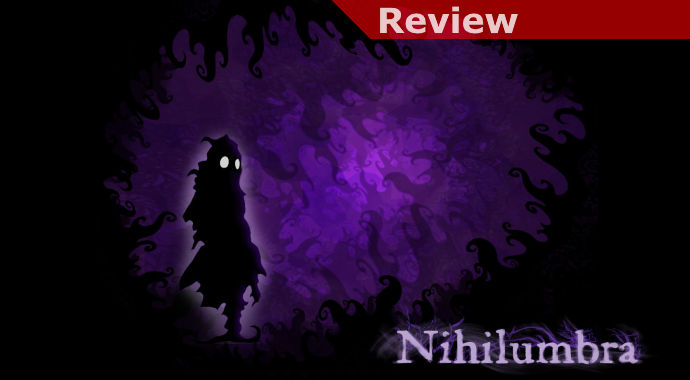 Overall there’s a lot to like about the creative mix of cerebral and action-oriented elements in Nihilumbra. While you’ll be forced to play it handheld the ease with which you can be holding your joystick to move while you’re making the surface ahead of you icy so you’ll slide is satisfying. At each step of the way the nature of the challenges you’ll face continues to evolve and require more of you on all levels, leaving you satisfied once you’ve completed them all. If you then really want to dig in then the Void Mode then turns the challenge up to 11 and you’ll be able to test how good you really are. While there have been games on the Switch that have skewed to being friendly to younger gamers to this point I can’t say I’ve seen anything targeted at toddlers or even babies. Give that the Switch includes a touchscreen it is a somewhat natural fit for games at this level as interaction is pretty basic and doesn’t require much manual dexterity. Looking to fill this void is the somewhat storybook experience of It’s Spring Again, which is ultimately very brief but given its objective this probably isn’t a major concern. With the voice of a pleasant and soothing female narrator and featuring bright and friendly artwork It’s Spring again roughly tells a story of the seasons. 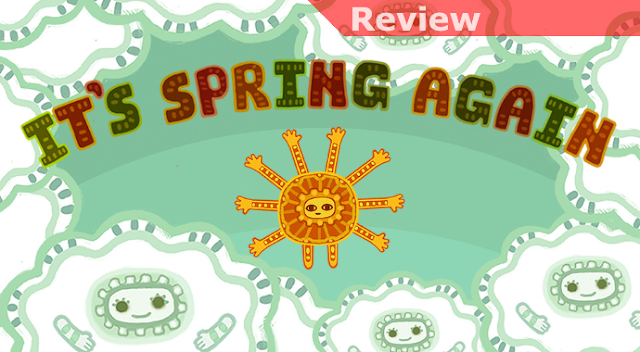 Starting with Spring you’ll begin the game by moving the clouds away to find the sun. As you work your way through each season these pretty simple interactions, usually prompted by dialogue by the narrator, help what story there is advance and for limited action to occur. Flowers will bloom, rain will fall, snow will blanket the trees and the ground. Given the simple nature of things, and the very minimal content, it’s great that an Autoplay feature was included as well, allowing it to act more as a storybook and requiring no interaction. While it isn’t a game experience that anyone without very young children would likely have an interest in I could see where this could be worthwhile for a parent looking for something simple to entertain their toddler. 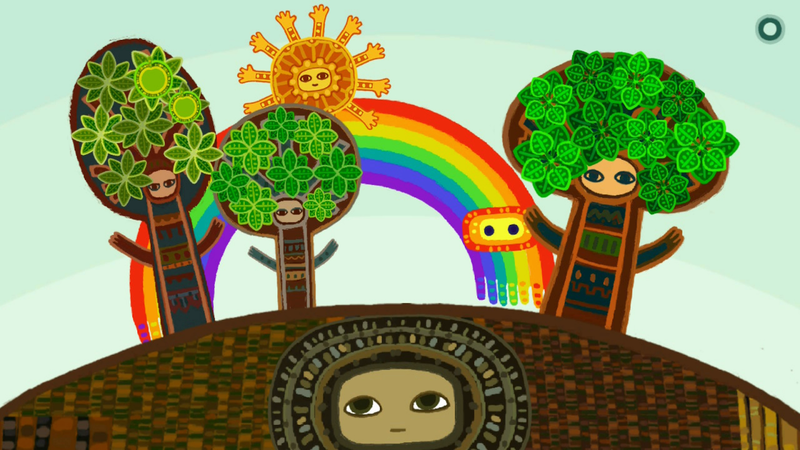 The soothing voice of the narrator and the slow pacing of it all make it very friendly and non-threatening and the mix of actions you’d trigger by tapping versus swiping and making simple identifications between the sun, the trees, and other basic objects could be simple mental exercises to someone at the right age. This was definitely a surprise, but I think it’s another sign of the Switch broadening its market little by little to be as inclusive a system as possible. There was a variant of action-adventure that had a relatively brief heyday, inspired by the likes of the classic Out of This World, that you simply don’t see anymore. Blending together often tricky environmental puzzles, some action, and pretty tricky platforming these games were both active and cerebral to a degree you rarely see now. One of those games, The Way, has gotten a bit of a modernizing facelift and demonstrates both why this style of game was well-regarded but also perhaps why they just don’t make them like this anymore. 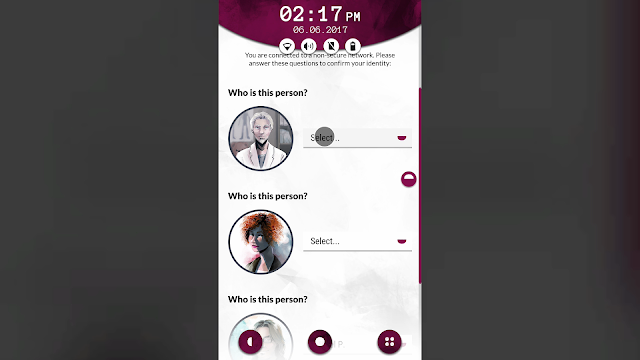 In the game you’ll play as Major Tom, a man you quickly come to understand is driven by a desire to bring his dead wife back to life. While normally this sort of thing would be wishful thinking in his case he apparently believes he may know the key to making this happen, and it just so happens to be on an alien planet he’d done research on for the government. Since he’s understandably skeptical that everyone may be on board with his plan your very first objective will be to break into a government facility and steal a spaceship… and thus his challenging adventure begins. The most notable thing in the game is that though it can be a little awkward and frustrating in places it is also varied and pretty smart. Environmental puzzles can take some work and trial and error but in general they’re fair and nothing a bit of exploration and experimentation can’t resolve. If you see a note somewhere be sure to take it in, very often details you find matter and in several cases throughout the game you’ll be expected to retain at least some rough details you may find. In addition to the game’s more cerebral side you’ll need to be ready to test your action chops because in a very old school way there are sections that are unapologetically challenging that you’ll be expected to get through. Whether a series of platforming jumps, making some careful shots with the ray run you’ll acquire, or working under pressure as one of the game’s “boss” sequences is hot on your tail you can expect to die quite a bit. Fortunately the game’s tendency is to autosave on a pretty regular basis and usually it is fair in what it will expect you to repeat when you fail. All that said, while elements of the original game have been improved and some rough edges sanded it still retains some of the at times wonky and stilted controls that can take some work to master or at least understand. Your movement and jumping, especially when it is crucial that you don’t lose time, aren’t always your friend. In particular there were times that the simple act of getting onto a ladder when the pressure was on was more challenging than it ever should be. No doubt this kind of thing wasn’t uncommon in older titles, I just wish they’d refined issues like that a little more to eliminate a few aggravating and unnecessary deaths. That said, if you bear with the game and its quirks it has its rewards and the feeling of satisfaction when you manage to master a sequence is significant. In the end I think this is a style of game that people will tend to either love or hate without much of a middle ground. Even gamers who are nostalgic for a lost age could find it to be a refreshing but are just as likely to find that there are some styles of play better left behind. Younger gamers who appreciate a challenge may enjoy the odd mix of action and puzzles but may well get hung up on some of the dated mechanics. Regardless, The Way Remastered does a fine job of helping to revitalize a deserving title that has its merits, how it is received will just likely be in the eye of the beholder. Just as an addendum until the game gets its first patch be warned that there is a significant bug that will wipe your progress and save file. 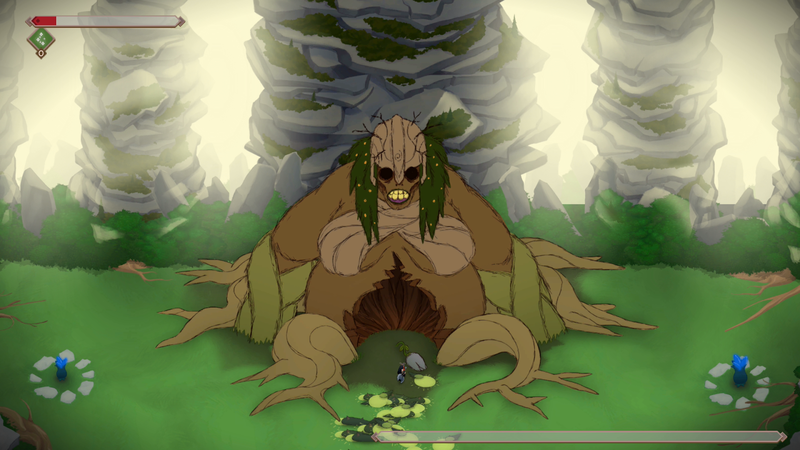 There’s help for how to get through the boss fight it involves but even knowing what to do if you’re unable to execute the plan within 2.5 minutes the game will crash and you could lose a significant amount of or even all of your progress to get there (it is roughly 2 hours in). The patch is in the works and going through certification but at this time when it will release is not known. 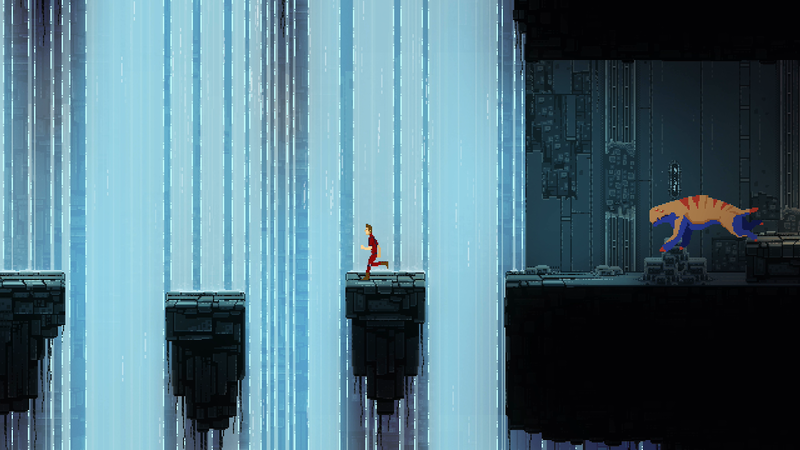 One great trend with indie games is seeing classic arcade-style gaming make a comeback. The top-down racer, generally best remembered tied to games like Super Sprint, is one that used to be quite popular in the arcades. Since it’s also an old favorite genre of mine when I heard news of Brakes Are For Losers having some traits in common with it I was excited. While it doesn’t quite deliver what I was hoping for there’s still some fun to be had with it, especially if you are playing with some friends. As the name of the game implies this is a game all about going full speed ahead at all times. Removing braking from the equation this generally means you’ll either be trying to swerve around turns or you’ll end up riding the walls. In order to motivate you to try to drive a little more under control your car will take damage for every impact and will eventually get disabled for a few seconds while it gets an on-the-spot repair. If you’re able to get to the pits this will generally be a little quicker and an added benefit is that your 3 boosts will then be refreshed as well. To throw a little chaos into the mix on competitive tracks random power-ups will be strewn about with a variety of effects that range from funny to annoying. The combination of these and taking damage everywhere keeps things unpredictable, though as a series of races progresses you will be able to purchase upgrades that you can use to try to make the game work a little better for you. Your mode choices are single-player Challenges, where you can try to get hot lap times or completely avoid hitting any walls for an extended distance (good luck) to earn flags. As you earn enough you’ll then unlock even tougher tracks to be successful on. All things considered I’d say these modes are roughly for masochists, but if you enjoy them good on you. There are then the races with a Quick Race if you just want to jump into something quick, a Championship mode that has set rules and tracks, or Custom Race where you can play with more of the variables to suit the racing more to your liking. 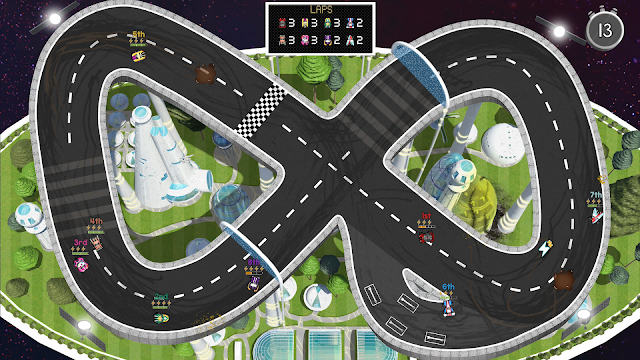 These can be played solo or with friends, with bots then being able to fill in the blanks up to 8 racers. The issue with them is that they either seem hopelessly incompetent or they’re whooping up on you, so it’s a bit odd and unbalanced for the most part so they don’t make very good opponents. I think my greatest issue with the overall experience is that the dial for the lack of control is set too aggressively to the low end. It isn’t just that you have no brakes, you also have no ability to feather your acceleration. To make matters worse the control feels pretty well entirely digital and there is no ability to adjust the sensitivity on your steering so you’re left with mostly settling for ramming into everything and only being half able to control anything. I appreciate arcade looseness but the lack of almost any nuance also makes the game’s longevity feel much more limited. 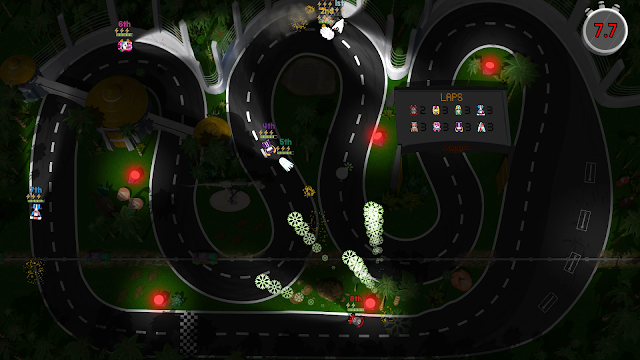 The tracks themselves are pretty varied, and some have elements that help them to be a little more interesting, but driving on them is often still more demolition derby than actual racing. 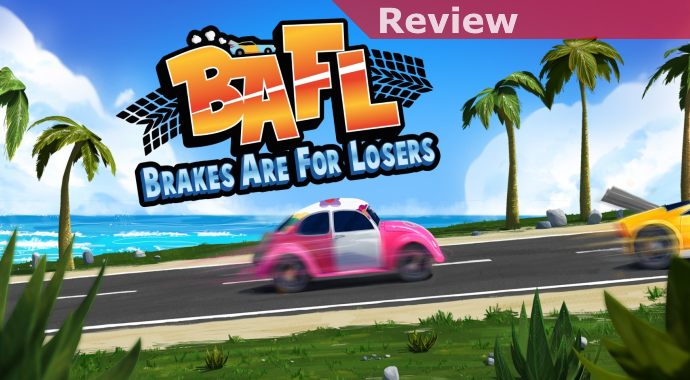 If you enjoy very loose and more unpredictable arcade racing, especially if you have some friends that agree, Brakes Are For Losers has some fun to offer. Probably better played in bursts rather than long play sessions you could probably enjoy it without people realizing there’s only so much they’re able to control. The more you try to dig into it though, especially if you hit the challenge modes, the more apparent the control shortcomings become. If it would either allow some nuance in your acceleration, or at least make better use of analog controls, I think it would find a better balance to appeal to a wider set of racing game fans. As it is I think the most vital key to enjoyment is some raucous friends to play with where the craziness can at least lead to some laughs.